PLEASE DON'T GO was released in January 1992 and was an instant hit and Double You become the phenomenon of the world dance scene. With more than three million copies sold, "Please don’t go" earned an abundance of gold and platinum records in such countries as Germany, France, the Netherlands, Spain, Belgium, Switzerland, Austria, Greece, Turkey, Eastern Europe, Latin America (every country) and many states of Africa and Asia. The record also sold well in North America (top ten maxi sales) and in the UK (no. 2 on the cool cuts chart). "Please don’t go" was the biggest dance hit of 1992. 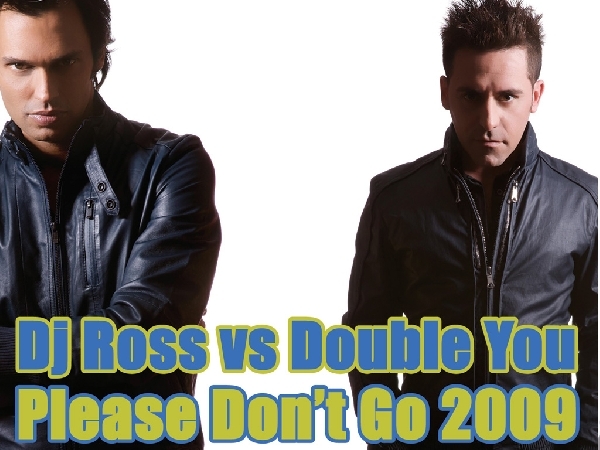 DJ ROSS has been on the international dance scene for quite a while and has produced many hits including dreamland,emotion,smile, floating in love, reaching the top of many international dance and pop charts. He has toured the world as a dj with enormous success and has always been involved in the record industry too. In 1997,he was a&r at Time records Italy where he also gaves birth to a sub label called spy records. His new label had a great success releasing various records written and produced by DJ Ross discovering new projects from Italy and other european countries. 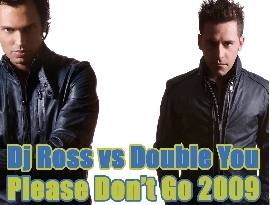 In 2005 dj Ross started to collaborate with William Naraine aka Double You. The duo has released several dancefloor hits,such as get up,beat goes on,to the beat,change. if you wish to listen to dj Ross on radio please tune it to "the bomb" on radio M2O (Italy's leading dance station) You can also listen to his programm on the internet.